At 8 o’clock this morning, we had a knock at our back door. It was our neighbor, bearing a dead hawk that had just hit their window and broke it’s neck in hot pursuit of it’s prey. 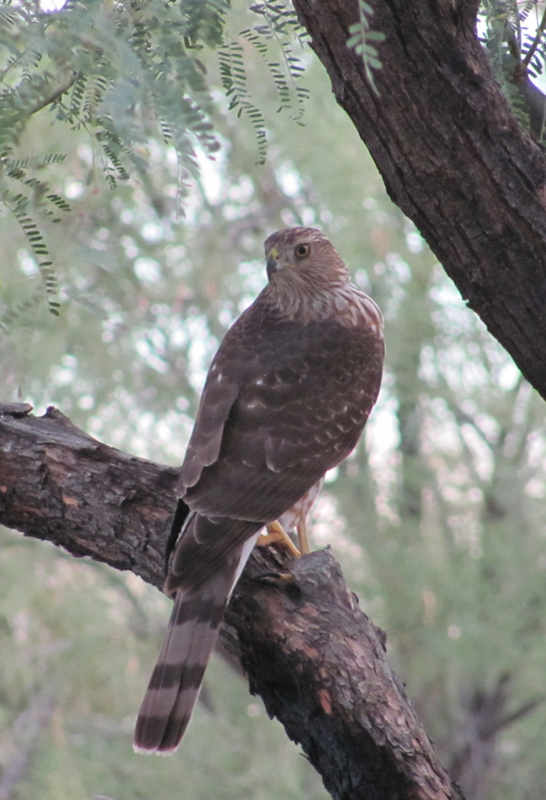 It was a smaller hawk, we believe it was a sharp-shinned hawk, that had just moved down south for the winter months. (Probably why he wasn’t used to the reflective glass on the house windows)….It could be a Cooper’s hawk, but I don’t think it was big enough. I took a photo as a memorial…. Kind of morbid, but still beautiful in death, as if he still has his eyes focused on his target. But, I guess you just never know. 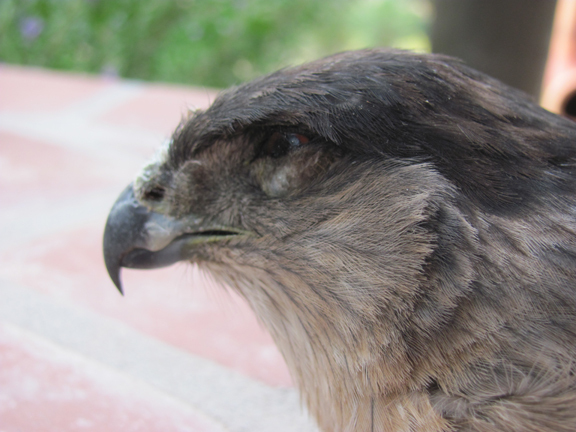 Regardless, whoever or however this beautiful bird might be related to the poor guy that met his maker, having this momentary connection made the horrible event a little easier to bear.